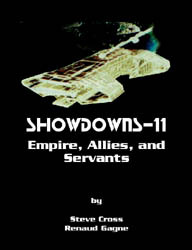 Showdowns-11 is (finally) available! 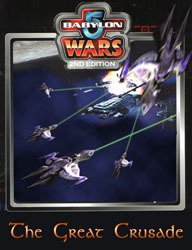 This add-on to the Great Crusade gives the player extra ships for the Orieni and their allies and goes into greater detail about the post-Centauri War Orieni. The Great Crusade takes players to a period when the Orieni Empire has been reborn from its own ashes and is once more spreading its influence among the stars. Explore the new ships and technologies of the Orieni as they go head-to-head with the Minbari in a new holy war. An original supplement from Steven Cross and Renaud Gagne, creators of the Free Human Union.